VW Camper Hire Company Description: Wonderful hilltop towns of fragrant Provence, chic resorts of the C?te d'Azur and the principality of Monaco. 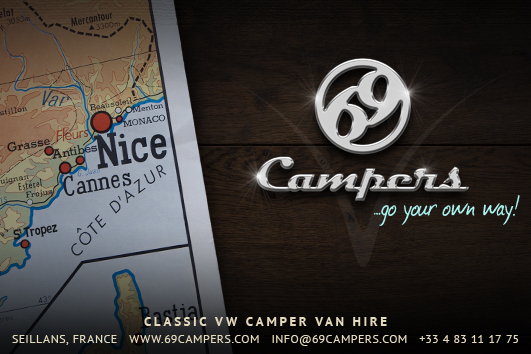 Discover the French Riviera with 69 Campers in a classic VW Campervan. 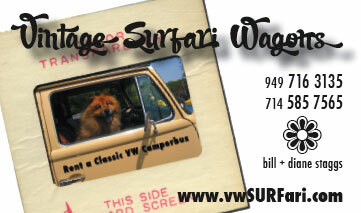 VW Camper Hire Company Description: Volkswagen Vanagon Westfalia campers for rent in beautiful Maui Hawaii. VW Camper Hire Company Description: Classic retro VW campers for self drive hire holidays and adventure. Use for weddings or any other events. Based on the South West atlantic ocean Cote d\'Argent in France near to Bordeaux and Biarritz. VW Camper Hire Company Description: Well, wanderlust again? Enjoy the feeling of freedom with a camper and discover secluded bays and beaches, chasing after the wind and the waves, and find the best spots to sleep right in the nature. Our camper stations in Spain , Portugal , Germany and the Canary Islandsoffer you the absolute freedom to experience a holiday that suits you perfectly. 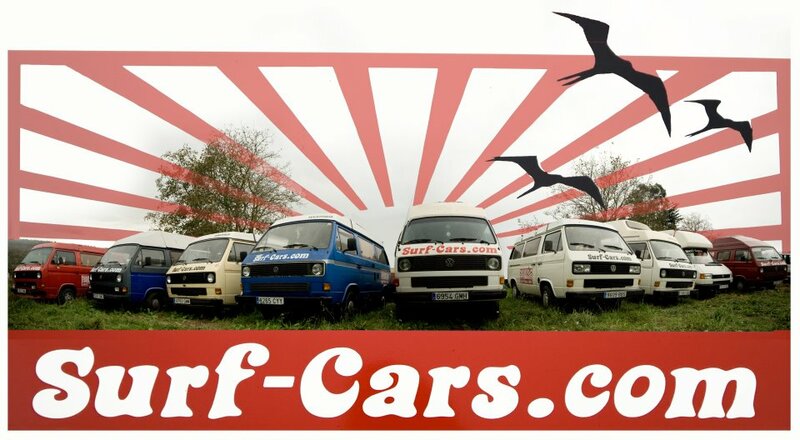 Rent an original VW T3 Bulli, a Surf Car or one of our premium campers and guarantee you a place to sleep on the most impressive coast of Europe in the immediate vicinity of the line-up! Whether by the sea, high on the mountains or in the city. Explore hidden forests, stroll through hidden alleyways in the urban jungle, or let the waves wash you ashore. Take advantage of the flexibility of a camper and experience the dream of every freedom loverand surfer. 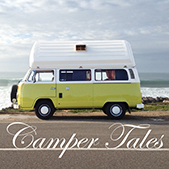 VW Camper Hire Company Description: Rent a vintage VW Westfalia camper in Portugal. We are located near Lisbon, the perfect starting point to discover Portugal. 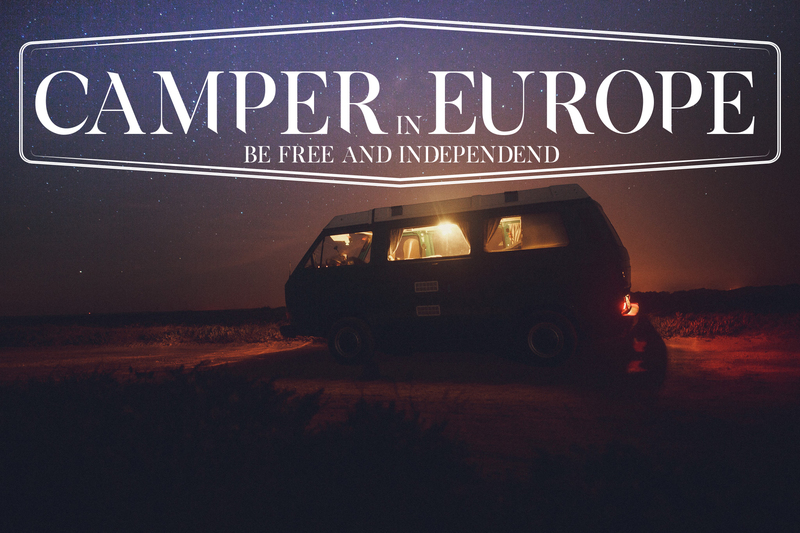 VW Camper Hire Company Description: Camperexperience rents out original Volkswagen campers. Types in our fleet are: T2, T3 and T4. Our 3 locations are in Utrecht (The Netherlands), Barcelona (Spain) and Marseille (France). 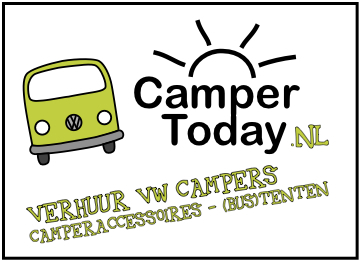 VW Camper Hire Company Description: We rent out VW campervans in the Netherlands. 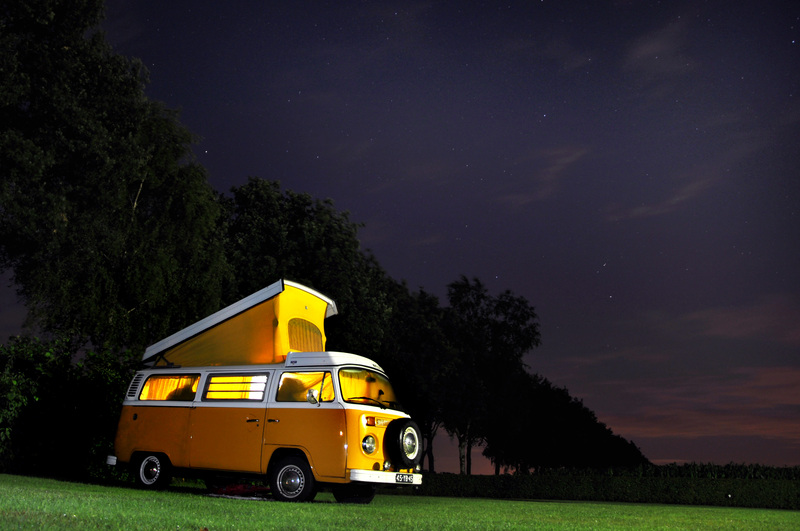 VW Camper Hire Company Description: We hire vintage bay window volkswagen camper vans. These are iconic symbols of peace and love and the best way to escape, discover and explore the surfie atlantic coastline beach spots of Landes and Pays Basque as well as the famous vineyards of Bordeaux. 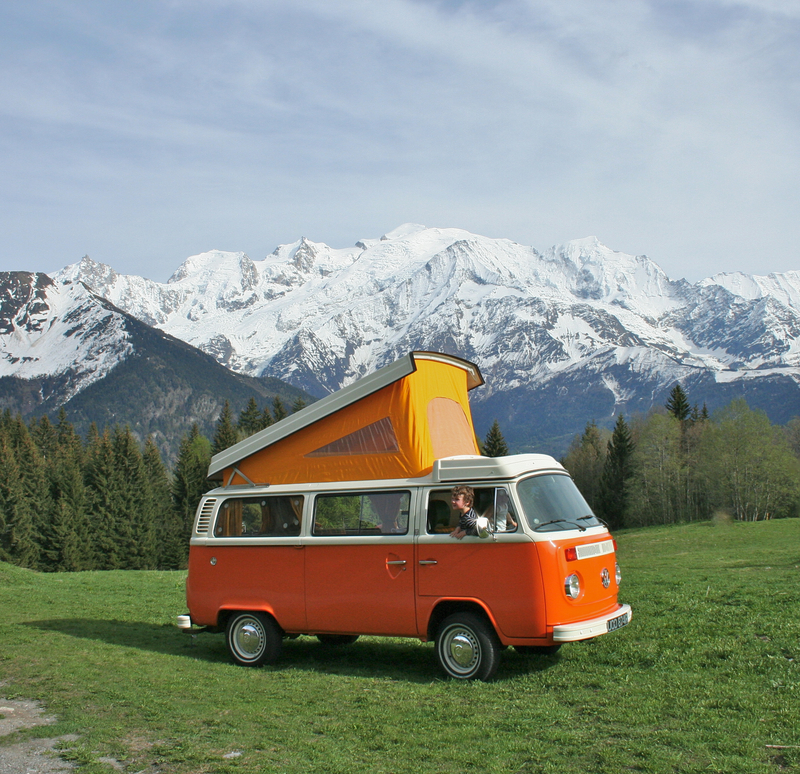 VW Camper Hire Company Description: Champervan is based in the French Alps between Chamonix and Geneva, with a fleet of original VW T2 combis for hire. Tour the Mont Blanc region in style! 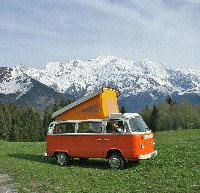 VW Camper Hire Company Description: Definitely Italy is not for large, hefty, cumbersome full size campers. Narrow medieval roads will keep you at large from most of the Italian fascinating villages and beautiful winding roads will make you concentrate on driving rather than watching the striking vistas. Drive in Style got the solution: we have an original 1978 Westfalia Volkswagen Bay Campervan for hire, the go anywhere and have fun everywhere camper. The campervan can be delivered and collected anywhere in Northern and Central Italy. Check out our website for more details. VW Camper Hire Company Description: While traveling in one of our completely restored vw buses, you will have the pleasure of stopping at any senic spot along your journey. Cook a fabulous meal and taking a nap at any of Florida's great locations. No expensive restaurants and your own private table, with whichever view you would like. You can cook dinner on a gas stove, clean up your dishes in the sink with onboard water tank, then lay down in your choice of two comfortable double beds, all inside your groovy VW Campmobile. When it is time to park, it slides into a standard parking place with no fuss. If you desire shore power, your VW Campmobile has full hook-ups including water and standard 110 outlets. If a campground isn't your style your Campmobile has an onboard water tank, sink, icebox, external propane tank and two batteries. VW Camper Hire Company Description: For a holiday with a difference, why not hire one of our retro Volkswagen campers and enjoy one of the coolest ways to travel and explore France. Our campers have been lovingly restored and come kitted out with everything you need for a carefree holiday adventure. And new for the 2014 season, all our campers come with free France Passion membership included! VW Camper Hire Company Description: Chasing the sun and fleeing the masses ? hanggtime means independence: to be on the road with the own bus, to live, eat and sleep in it, to pick the most beautiful spot yourself and to enjoy the sun as you please ? or the wind: because actually hanggtime is a term from the kite jargon, referring to the timespan between take-off and landing: and you can experience just this extraordinary moment of weightlessness with hanggtime, too. Therefore, if required, a kite is included. And for those, who can not kite yet, there is also the option of learning it in a course. Hanggtime stands for the special awareness of life, for freedom and passion for kiting. Hanggtime has three fixed locations in Germany and Spain. A bringing service however also allows the individual choice of an initial point. Thanks to its central location, Mainz is the optimal starting place for tours throughout Germany and bordering neighboring countries. Aachen on the other side especially offers itself to those who want to travel through Holland. For the vacation in the warm south there is also a location in Malaga. 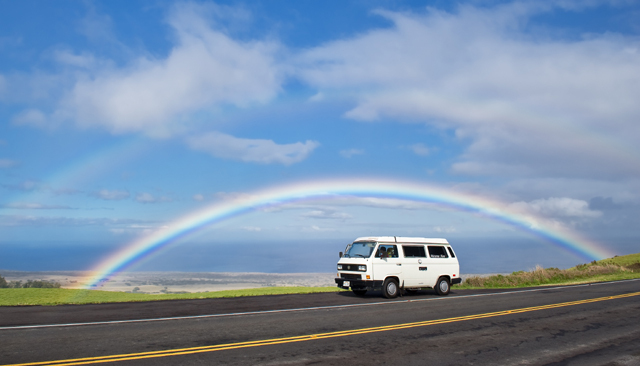 VW Camper Hire Company Description: Happy Campers Hawaii is located on the Big Island of Hawaii and we have a custom fleet of VW Westfalia camper vans to get you around the Island in style. Our vans are fully stocked for Hawaii fun and adventure! VW Camper Hire Company Description: Ici, l�-bas et partout offers vintage VW camper hire in the South West of France. Our little combi (camper in French) company, Ici, l�-bas et partout (Here, There and Everywhere in English) is based in the heart of south west france in Lahourcade, near Pau, and ideal location to explore the sand dunes and waves of the Atlantic coast, the stunning Pyrenees mountains or the varied countryside of Basque Country. Our nearest airport is Pau. Here we are on the map�. https://goo.gl/maps/0AWGd We offer vintage camper van hire, come and explore the south west of France and even Spain in your very own vintage camper van, never having to worry about finding a hotel or a restaurant on the trip! Every campervans we own are original westfalia. Every campers are renovated in the bodywork and engines are fully reconditionned. You can visit all the area in a great camper. You�ll live an extraordinary back to the past, in a complete independence and a total freedom. The campers are all fully equipped with everything you would need to enjoy your holiday. I can pick you at Pau airport or rail station if you need. VW Camper Hire Company Description: What started off as a 3 van rental company in Portugal, brought to reality in 2013 by 2 good friends, has become Europe's largest campervan rental company. With a fleet of over 400 vehicles, Indie Campers currently operates over 50 locations across Portugal, Spain, France, Italy, Switzerland, Belgium, Germany, Netherlands, UK and Croatia. 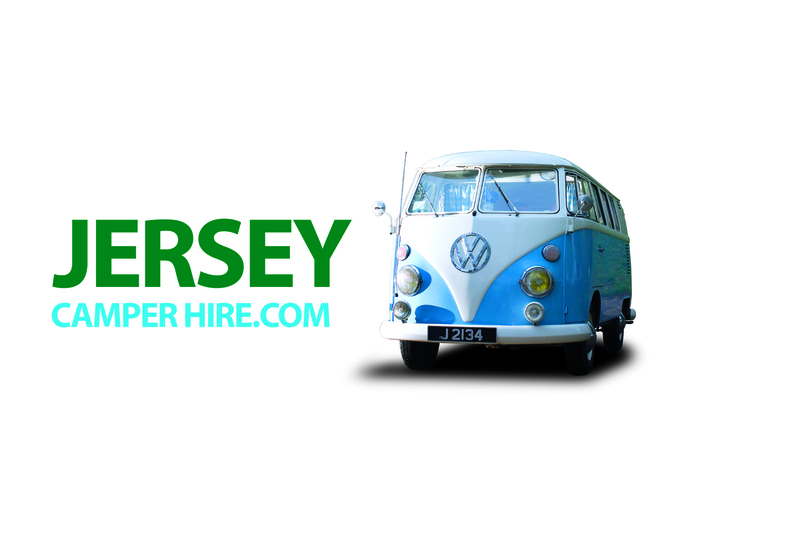 VW Camper Hire Company Description: The alternative way to explore Jersey. We have vans ranging from a 1967 split screen all the way to a 2009 Danbury. Prices start from as little as ?95.00 per day. VW Camper Hire Company Description: Kiwi Kombis Classic campervan Hire is a New Zealand campervan rental business which specialises in the VW Kombi campervans and motorhomes. A VW Kombi or a motorhome is a fun way to travel New Zealand. A Kiwi Kombi is not your average campervan, but a very unique and enjoyable way to travel New Zealand in style. The rental kiwi Kombi campervan has unlimited kilometres, is fully equipped including bedding, and roadmaps and travel tips are provided. We also do one way hires. VW Camper Hire Company Description: Leaving Las Vegas Camper Vans is owned and operated by Doug and Ginger Bellamy. In 2008, we bought our first Volkswagen Eurovan camper and launched Leaving Las Vegas Camper Vans. We have enjoyed exploring the southwest among other places over the years, and have created an opportunity to share our local environment as well as our knowledge with others. We love living and playing in the South West. Red Rock is in our back yard and near by attractions such as Zion National Park, the Grand Canyon, Death Valley, Yosemite, and the California coast are featured in our amazing Southwest playground. The deserts of southern USA make for extraordinary scenic road trips. VW Camper Hire Company Description: Our campervan Hire is based in the Algarve, Portugal, so you will begin your holiday in an incredibly laid back and beautiful place. Here the slow and peaceful pace of life is harmonious with the nostalgia of living in a 1970?s campervan. Whether it?s for a tour of the infamous west coast surf spots, rockin out to one of the many music festivals, or simply for a peaceful holiday retreat away from the usual tourist traps. You will not have to drive far to find whatever it is you seek. From dramatic coastlines to nature reserves, fishing towns to mountain villages and lakes, Hiring a campervan in The Algarve will guarantee that you are surrounded with spectacular views five star hotels would struggle to better. Most importantly you are allowed to stop and soak up this vibrant place without time limits and endless parking tariffs. Fuel is cheaper, eating out affordable, life is easy. VW Camper Hire Company Description: Volkswagen VW Camper Hire in France was a natural progression for us. Having been VW enthusiasts and lovers of the French countryside for most of our adult lives, it seemed to make sense that to amalgamate these two passions and share with others the delights of the open road and the VW Combi in France. We are a small but caring company and are very keen to offer our clients a first rate service. VW Camper Hire Company Description: Cassie or Joe our beautifully restored 1970's Classic VW Campervans are ready to take you exploring through the vineyards and lavender fields of Provence or along the famous Cote d'Azur. Experience a unique adventure with SunhatFrance? VW Camper Hire Company Description: Rental of Classic Volkswagen Westfalia T3 Campers in Spain and Portugal. VW Camper Hire Company Description: ValleyWestys is a VW Camper Rental company, located in the heart of the scenic Shenandoah Valley of Virginia! We're only a short 30 minute drive to the world famous Skyline Drive and Blue Ridge Parkway. We feature Westfalia (Westy) campers, built on the Vanagon chassis, from the 1980's. These retain the classic VW Bus look and feel, while providing a more modern, comfortable vehicle. Our Westys feature an extensive array of standard equipment, with many additional items available as an option. Visit our website to see all that we can do for you! VW Camper Hire Company Description: Vanitaly is the only agent for van hire in Italy who offers camping equipped vans and minivans. Vanitaly wants to be the answer for all you need in mobility, practicality and convenience for everyone wanting freedom to travel. Our service will be particularly appreciated by students, tourist and sportsmen who want to have a new and stimulating way to travel. Vanitaly proposes a perfect ?mix? between the manoeuvrability and versatility of a car and the practicality of a camper, choosing to travel in our vans for your holidays is a way of life. You will be able to go about in total comfort, find easy parking because the dimension allow you to circulate even in the narrow streets of the old cities centres. These are qualities you must appreciate. We offer our vans to a dynamic, sporting and independent customers who love contact with nature in the most direct way. The size of our vans make them extremely manoeuvrable in any conditions, in town or suburban traffic, from mountains to the coast, lakes and rivers, in every possible way. 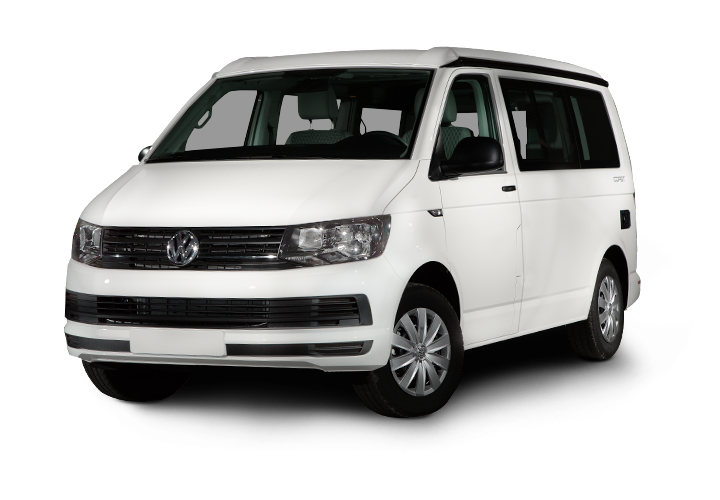 Our vans (Volkswagen California, Volkswagen Carthago) perfectly adapt themselves to every type of traveller, even the most demand ding thanks to our range of hiring accessories your every wish will be granted. Our range of products are suitable to all types of clients, especially those who prefer nature and the open air, either italian or foreigner young couples or groups of friends. We hire all our vans without a mileage limit!!!!! 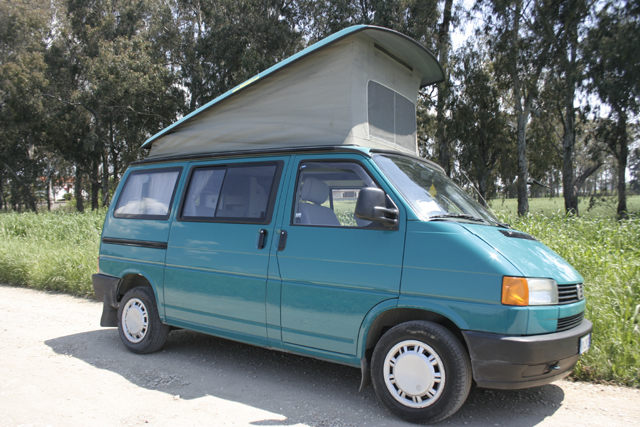 VW Camper Hire Company Description: VICENTINA COAST, LOVE AND A CAMPER VAN. 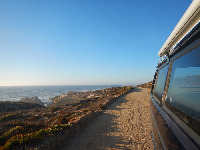 At the rhythm of a classic VW T3 campervan, ride along Alentejo and Algarve West Coast with Vida Airada's essential guide, and feel engage with the best of this Portugal region. VW Camper Hire Company Description: VW Camper rental from Amersfoort (Netherlands) and Aix-en-Provence (France). Also other classic cars available. VW Camper Hire Company Description: Vintage Surfari Wagons offers restored VW camper buses for rent/hire from our Los Angeles area location. All our campers come with updated or newly re-vamped interiors, fresh mechanical up-grades, are loaded with handy camping equipment, and all da'kine goodies to get you onna road Brah! 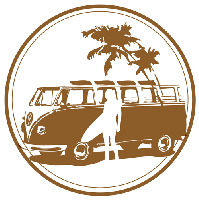 We at Vintage Surfari Wagons are native Southern Californians, we have local knowledge and we're dedicated to helping you experience the most unique vacation of your lifetime. Our goal is to give you a big taste of what makes our corner of the world so unique. VW Camper Hire Company Description: Welcome to WeekendWagen the Classic Vw Camper Van hire Company based on southern Spain. Explore the natural beauty of Andalusia in a classic VW camper van available from WeekendWagen Campers in Seville. Due to our location we can offer Eight hundred kilometers of coastline, over three hundred days of sunshine a year, surfing, skiing, two national parks, whales, orcas and dolphins, the largest number of protected natural areas in Spain, a historic and artistic heritage unique in the world, towns with local festivities all twelve months of the year, and a cuisine which features top quality product.